Where to buy french bulldog clothes? Ever realize how hard it is to find Frenchie Clothing that specifically fits their unique body structure? French bulldogs are short with a muscular build, wide body, and a square head making it difficult to fit into other dog apparel. Most french bulldogs are about 12 inches tall and 25 pounds. 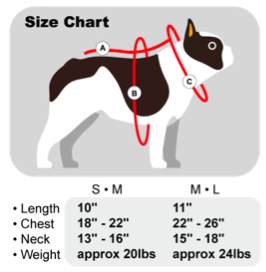 Most companies include a size chart attached to their website that explains which size fits your Frenchie. Our Frenchies deserve to play in style with the comfort in any weather! Here are our top 10 picks of French Bulldog Clothing Companies. Rule the world Frenchies! But of course always in STYLE! FrenchieWear is a company based in California but handcrafted in Japan. Shop for shirts, hoodies, sweaters, and more. Frenchie Bulldog is a great company for your dog’s accessories. Their hoodies, harnesses, collars and leashes are fashionably designed and fitted to perfection. BossPup is an LA company with a simple, modern look for your frenchies. They have jackets, sweaters, tanks, and bowties. Cool Blue Dog Apparel is based in the fabulous NYC giving style to all broad-chested dogs. From raincoats, hoodies, tanks, life vests and more. Max Bone is the elegance of a fashion forward LA dog. Eat, Sleep, Play, and walk the streets with all the best accessories. Ever want to match your dog’s outfit? Of course you do! At Fab Dog shop all your favorite styles with matching human pjs! Or shop for a sweatshirt to keep your pooch warm all winter! Shop the online retailer of Frenchie Essentials for an upscale vibe. 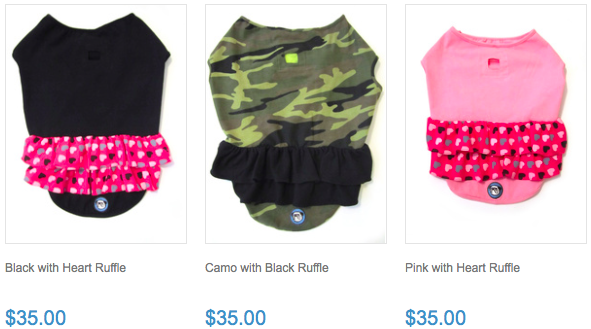 Munchikin from Los Angeles offers a wide variety of clothing and bandanas. Dog Threads, a family-owned business based in Minneapolis, offers fun clothing for any dog party! After looking at the web links in your article , I am wondering about discount clothes for French Bulldogs. Any advice? 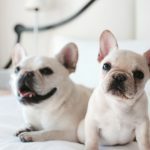 Have you tried The Fab Frenchie on etsy? They have great items at lower costs! And handmade in the USA!